"Good Value for clean resort, and rooms are sizeable." "The hotel was clean and it was in the best location!" "Awesome place ,would stay again!" 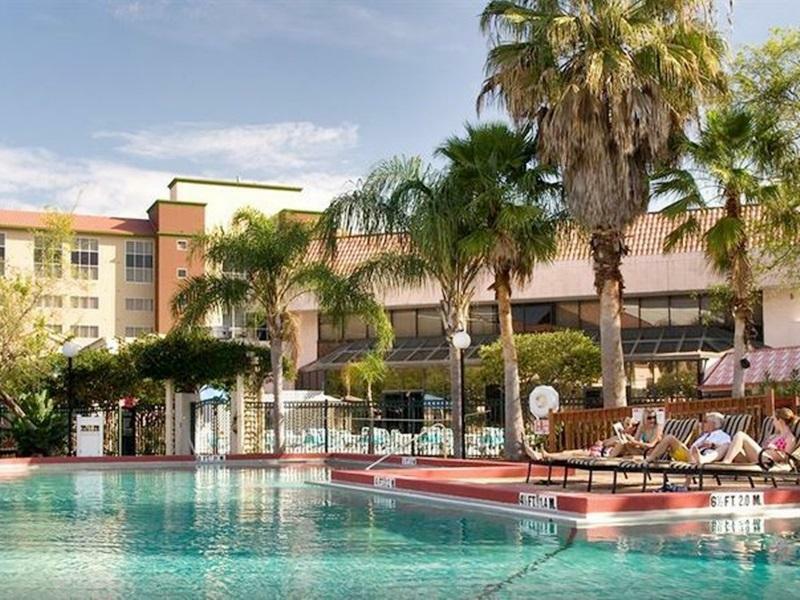 "Very good for the price and good location"
Designed for both business and leisure travel, Allure Resort Orlando International Drive is ideally situated in International Drive - Convention Center; one of the city's most popular locales. From here, guests can enjoy easy access to all that the lively city has to offer. 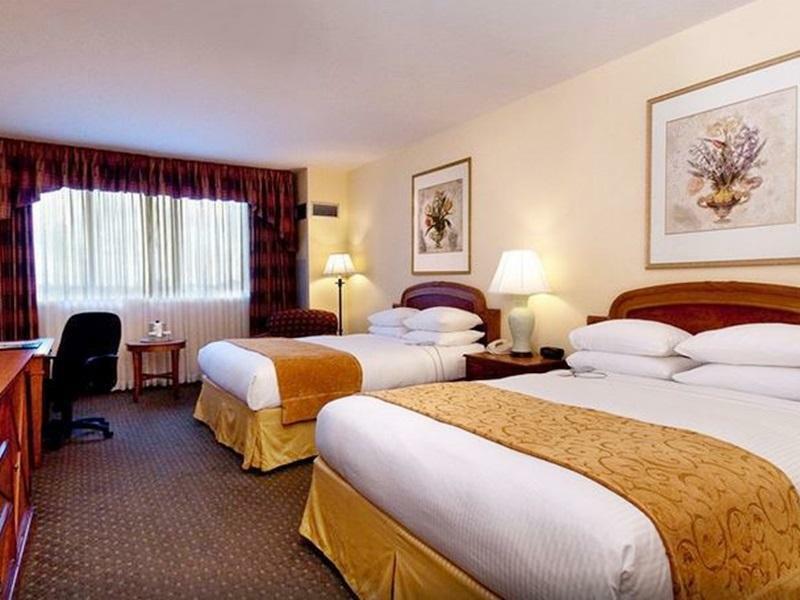 A haven of rest and relaxation, the hotel will offer total renewal just steps away from the city's numerous attractions such as Titanic, Ship of Dreams Exhibit, Pirate's Cove Adventure Golf, Madame Tussauds Orlando. At Allure Resort Orlando International Drive, the excellent service and superior facilities make for an unforgettable stay. 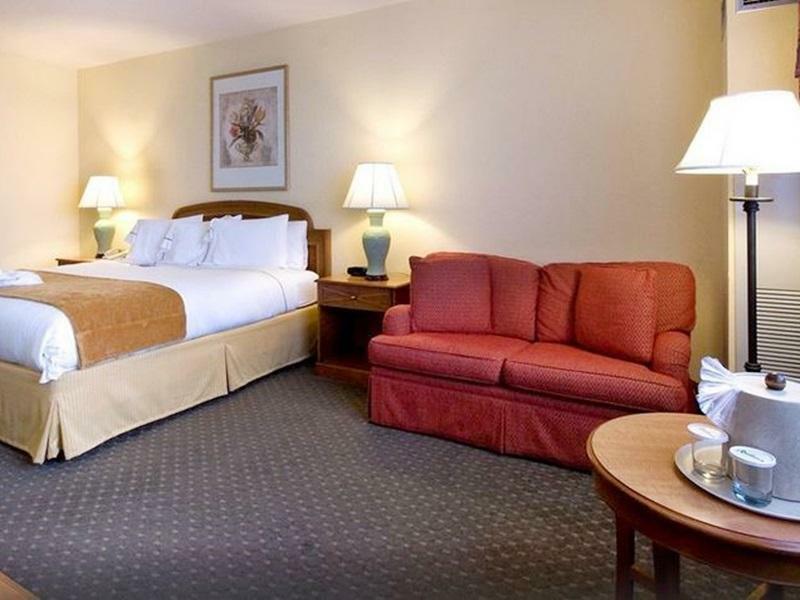 The hotel provides free Wi-Fi in all rooms, 24-hour front desk, facilities for disabled guests, express check-in/check-out, luggage storage to ensure our guests the greatest comfort. Step into one of 223 inviting rooms and escape the stresses of the day with a wide range of amenities such as television LCD/plasma screen, mirror, towels, closet, internet access – wireless which can be found in some rooms. The hotel offers wonderful recreational facilities such as hot tub, fitness center, outdoor pool, indoor pool, massage to make your stay truly unforgettable. Superb facilities and an excellent location make the Allure Resort Orlando International Drive the perfect base from which to enjoy your stay in Orlando (FL). "The location was walking distance from a lot of attractions." The Fitness Center and Indoor Pools are part of YMCA Aquatic Center and are subject to availability at the moment. Please contact the Property for more details. Good Value for clean resort, and rooms are sizeable. Staff and front desk were polite. Located on International Drive close to Convention Center Exit #74A. Reminder: that if room is booked through a 3rd party online, there will be an extra resort fee collected at check in, but it is not excessive. You pay $15 resort fee per night. Room smelled damp, I removed the smell melting sugar in the microwave. Big size corner room 1st floor. Clean. Bathroom door would not close. No bugs (I did look for them).Would stay again. Great resort, close to shopping and attractions. The rooms were very spacious and clean. The only down side was the girls at the reception didn’t greet us, smile nor made any recommendations or interact during our check in. This was our second time staying at this hotel. It was very clean, no smells, etc. I requested the first floor when a reservation was made, and they put on on the 7th floor. This was not a problem until we returned from being out that evening to find the elevator out of order. My boyfriend has fibrotic lung disease and he is the reason why I asked for the first floor. So I went to the office to complain and perhaps get a different room, some compensation, etc. and all I got was "we're packed, try again tomorrow. You're staying for a few more days, right?" Seriously? Morning comes, elevator still is not fixed and now we're faced with having to leave and descend the stairs, and some random guy waves us down and tells us about the maintenance elevator. A random guy. So you know what? We took it. Apparently, other people were hip to this as well, because it was stopping at every floor on the way down. WHY the front desk didn't tell us about this option the evening before is unknown. I had worst experience ever!! They throw away unused amenities and don’t even apologize nor try to look for it. I had to drive to the pharmacy... what a waste of time and money during a trip!! Facility was old. Air conditioner... not so sure it’s working right. Bath... only a warm water not hot. Bed... I think they don’t change it, just do the bed makings. Still, I guess it was a great hotel years and years ago. The room was big and quiet. It was cheap so I would give 3 stars without my experience but throwing away customers goods is unacceptable for me so wouldn’t even want to give one star for a total experience. This place was awful the room we had was old and broken dressers, the pillows were awful and the staff did not speak English, very hard to understand. Our AC didn't work and changed rooms three times. Never going there again. Hotel is very beat up, not maintained nor clean. Our room had luke warm water in the shower, staff said this is normal. Front desk also said they had no extra blankets when asked for one. Thermostat in room went back and forth on temp on its own. Beds were very worn and old, lots of lumps and dips. Will not stay here again. I have stayed in this resort for 5 days and I have some complaints: - I booked my room online and when I attended, they charged me extra $75 for resort fees. - One of the receptionist is very rude and he said: “you have to pay the fees or cancel your reservation”!! - Throughout all the 5 days I stayed in this resort, the housekeeping cleaned my room for one time only and took my towel! - In the last day, I asked them to allow me to check out at 11:30 am instead of 11 am. Even though I put “don’t disturb” label on the door, one of the staff knocked my door like a crazy one at 11 am and he said: “it’s time to check out and you have to leave”. - Honestly, the staff are very rude and some visitors I met them in the elevator agreed with me in this point. - I would never recommend this place till the staffs change their rough manners and show some respect to guests. The room was a nice size even the bathroom was pretty big. The location is great it was next to everything. The bed wasca sleep number bed that was already set and i could not adjust it because the control was not working. The room had really everything that you needed. I liked that they have a bodywash dispenser in the shower so you didnt have to use that cheap hotel soap. The only down fall to the trip is that the water didnt get hot in the room that i was in so i had to take 2 warm showers. Great large room. I was surprised with the size of the room and how nice it was for the price. Would definitely use again as I have monthly business events half a block down. This hotel is convenient to so much, stores, restaurants. Dont let the photos fool you there is no swimming pool. The place seem a bit run down. Some of the towels started threading. The one lift is out of order and apparently it has been out of order for a while. There are definitely better accommodation within the Orlando area for the same or lower price. They always charge for everything without tell detail in agoda Additional charge 15 USD/night when you check in Charge 10 USD/box when you buy product form Amazon and shipping to Hotel I being charged 140 USD. Oh , Badddddd !!!! As you know. Sometime when you buy from Amazon at the same time. They will shipping separate depend on product. Totally they charge me for 245 USD I thinks other hotel near this that expensive than this hotel is valuable Some reception are not friendly. drop me to 20 minutes for waiting time I'm not recommend for this hotel Bad. !!!! More charge !!!!! When we pulled up to the Allure, we were pleasantly surprised at how nice it seemed. Check in was very smooth, simply gave the girl my name and a card and was handed two keys. Parking was great, there are tons of spots around the tower and all are a quick walk to the elevators. The rooms are nice and large and the bathroom has some handy "soap dispensers" for the shampoo and body wash. Now what killed this hotel for us was the absolutely awful bed. The thing was harder than a rock and was near impossible to sleep on. Both nights were spent tossing and turning and we ended up leaving for home earlier than expected because of how tired we still felt on the second day of our stay. Unfortunately due to this, we felt this hotel was an extremely poor value and cannot recommend it. My parents and I went to the hotel as prices were very competitive, however when we arrived that night we were told there were pluming issues in our room and we were moved to the hotel next door. As it was almost might night we accepted but there was a cockroach on the bathroom.